The Negros Museum presents the recent collection “Si Tatay, Si Nanay, Si Toto kag Si Inday” of Talisaynon artist Ramon De Los Santos at the PHINMA Main Gallery of the Museum on Friday, August 19 at 6PM. 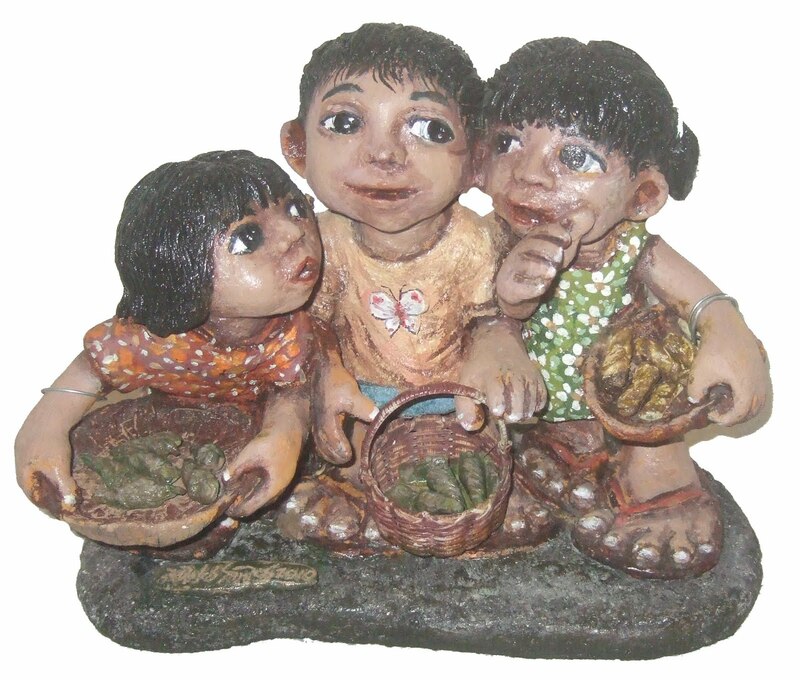 Artist Ramon De Los Santos, also known as Manong Ramon, will include his 37 artworks (sculpture and bas relief on wood) depicting children, their family and their daily activities. De Los Santos also had 2 solo exhibits “Si Toto kag Si Inday” (October 2010) and “Paskwa” (December 2010) at the Museum last year. 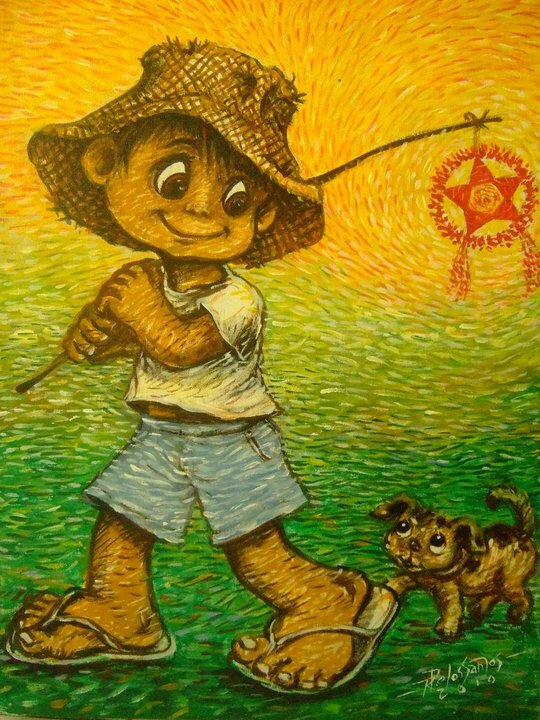 Artist Ramon De Los Santos, also known as Manong Ramon, had 2 solo exhibits “Si Toto kag Si Inday” (October 2010) and “Paskwa” (December 2010) at the Museum last year. Both exhibits, which include his paintings and terra cotta bas relief on wood, were well-received by local art patrons and new art lovers. Some of his works were brought to as far as the United States, Europe and other countries by museum guests and visitors who have seen his work in these exhibits. He was also one of the chosen 10 Negrense veteran artists who was invited by the Negros Museum to do an artwork with the antique Silay bricks for a Special Auction last June 2011. His subjects are children and their daily activities like playing and doing house chores. 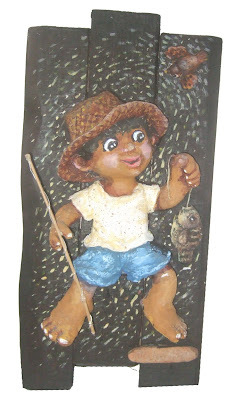 His works also convey local Negros scenes and icons such as sugarcane, love of gamefowl and the infamous manoglibods. 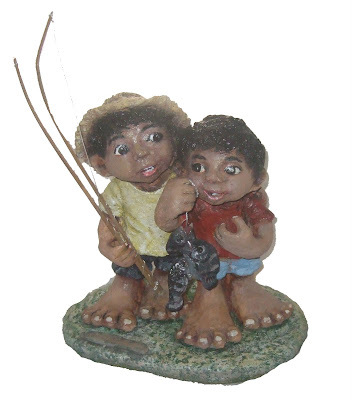 The Negros Museum chose Manong Ramon’s “Si Toto kag Si Inday” as its icon for its Tuklas Learning Center for Children because his works exude outstanding Filipino values like being industrious and hardworking. Tuklas supports the Museum Educational Program (MEP) for workshops, events and specially designed activities for the children of Negros. 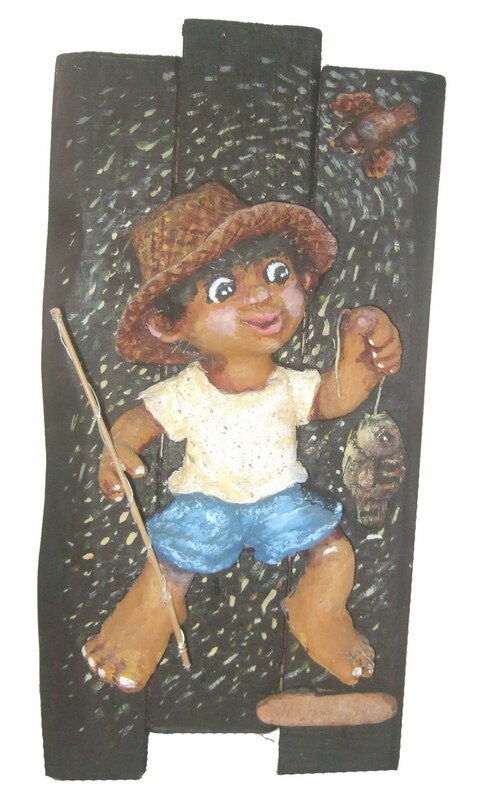 The artist was also the teacher for the Basic Drawing and Painting and Terra Cotta Sculpture for Kids (7-14 years old) for the 15th Negros Museum Summer Arts Workshops. He will also be one of the instructors for the Weekend Workshops at the Museum (WWM) this coming September 2011.